This adventure combo will give you a taste of some world class rapids and an assisted mountaineering activity all in one day! You’ll start your morning on the Gold Rush rapids, and spend your afternoon above our outpost on the Via Ferrata tour. 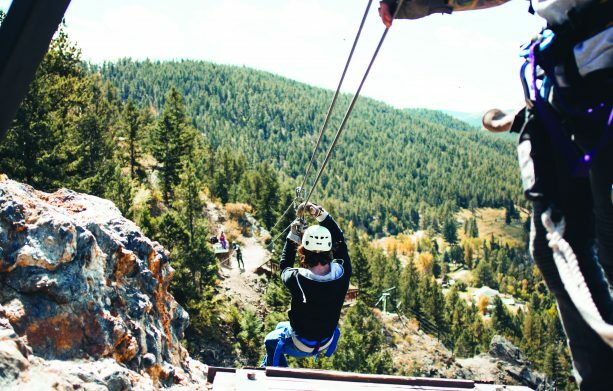 You will traverse the cliffside, rappel down a 70-foot rock face, cross various cable bridges, try our 50-foot free fall, and finish the tour by ziplining over Chicago Creek back down to our outpost. This adventure package requires a good amount of athletic ability. Be sure to bring a water bottle that can be clipped to your harness on the Via Ferrata! At AVA Rafting & Zipline, we strive to make your adventure with us special. We believe you should be aware of exactly what you’re buying and how much you’re going to spend prior to your trip. 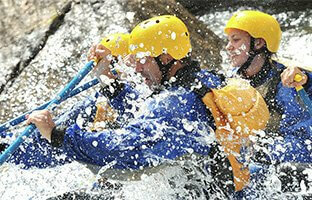 AVA provides wetsuits and splash jackets free of charge on our whitewater trips. At other outfitters, you’ll pay over $20 per person for these items. We put together plenty of gear lists for each activity we offer, so you don’t end up having to pay for unneeded add-ons and so you’re prepared for your adventure!